The massive blue whale is the largest known smartest animal in the world today. It has a weight of about 200 tonnes and its tongue alone weighs as much as a full grown elephant. The blue whale is found in oceans all over the world but prefers warmer climates. It migrates thousands of miles every year and has been spotted in groups as well as alone. To sustain itself, the heaviest animal in the world has to consume over 4 tonnes of food and this mostly consists of plankton and krill. The second heaviest animal is also the largest and heaviest fish in the world (since the blue whale is a mammal) and is more than 12 metres long. It can weigh more than 18,000 kilos and need to consume copious amounts of food each day. The jaws of the whale shark can open as much as 1 meter wide and it mainly eats small animals like crustaceans, krill and crabs. Great White Shark is the apex predator of the seas. The larger of the two elephant species in the world, the African elephant are one of the dangerous animals in the world. It can be differentiated from the Asian from the shape of the ears and the fact that both males and females of this species have tusks as compared to only male Asian elephants. This is the heaviest land animal and weighs more than 6 tonnes. This species of elephant lives in Western and Central Africa and needs to eat up to 300 pounds of food each day. They live in herds and travel long distances in search of food which can get very scarce in the summers. Elephants are also one of the loudest animals in the world. The second largest land animal after the African Elephant, the Asian elephant has three subspecies – Indian, Sri Lankan, and Sumatran. These elephants can weigh up to 5 tonnes and usually forage for 19 hours a day searching for grass, roots, and foliage to eat. The long muscular trunk of elephants has several functions. Firstly, it helps to grab food and transfer it to the mouth. It also works like a faucet to spray water on the animals’ back during the summer heat. Apart from being one of the heaviest animals in the world, the elephant also has the longest gestation period of 22 months. Also, you love reading about the most amazing blind animals in the world. This African animal is amazing in several ways. It is one of the heaviest animals in the world and can weigh anywhere between 3600 and 7800 pounds. It has a large horn on its head that can be up to 1.5 metres long and this animal can live without water for up to 5 days. This adaptation helps it survive in arid climates where water is not regularly available. Despite its name, the white rhino is actually grey and the name is a misnomer coming from the African world ‘wijd’ meaning wide. This African animal is one of the heaviest animals on earth and can weigh as much as 7500 pounds. It is native to South Africa but today can be found in zoos all over the world. Hippos spend most of their life in water to avoid the hot climate and they are also very adept swimmers. Hippos eat a lot and need to consume more than 80 pounds of grass a day and they prefer to feed after dusk. One of the toughest animals does not have sweat glands and instead secrete a red coloured fluid that has the same function as sweat in other animals. They have large teeth despite their vegetarian diet that is used when males duel for mates. This tall animal found in South Africa is also one of the heaviest. It can be as tall as 20 feet can weigh up to 3500 pounds. Just the legs of the giraffe are taller than an adult human, measuring more the 6 feet. The long neck, as well as a 21-inch tongue, helps the giraffe eat leave off very tall trees. This animal can also go without water for days at a time. Interestingly, the giraffe’s neck has the same number of vertebrae as the human neck, but each bone is much longer in the giraffe. These animals can also run at a speed of 50 kilometres an hour when escaping from predators. The Asian Gaur is the largest and heaviest species of cattle in the world and is endemic to South Asia. Males are significantly larger than females and can weigh up to 2500 pounds. They can be easily recognised by the white band on all four feet which look like the animal is wearing socks. It is also called the Indian Bison and the largest living population of this animal is found in the tropical evergreen forests of India. Gaurs live in herds and both males and females have horns. There are many species of crocodile in the world of which the Australian Saltwater crocodile is the largest and heaviest. Crocodiles are found all over the world and depending on the species, their length can be anywhere between 6 and 25 feet, weighing more than 2300 pounds. Crocodiles eat a wide variety of smaller animals like deer, pigs, larger rodents and other aquatic animals and store the calories as fats which they can utilise when there is a shortage of food. This large animal is named after the place it is originally from – Kodiak, Alaska. It is completely isolated from other members of the bear family because of its remote habitat and is also the largest species of bear in the world. It can up to 10 feet tall and weighs as much as 1800 pounds. 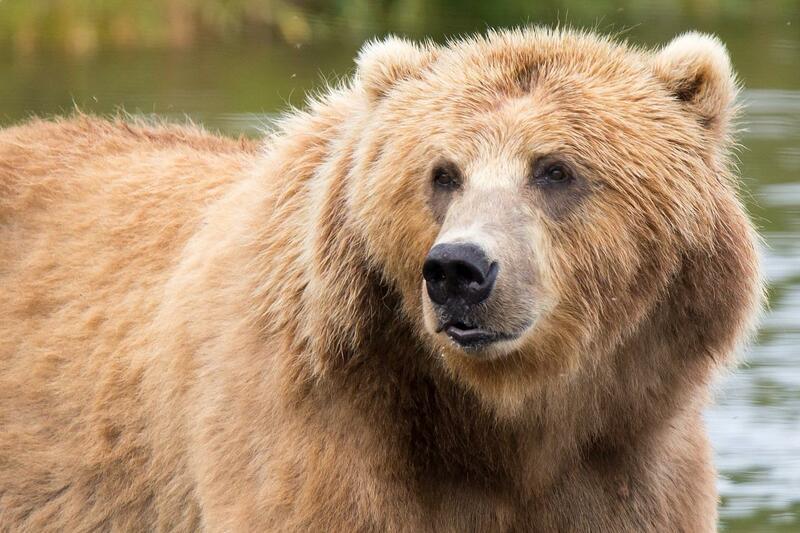 Kodiak bears are omnivores and eat fish, fruits as well as grass. They go into hibernation during the winter and can survive without food during this period because they slow down their metabolism and use up fat stored in their body. These bears are solitary animals are living in groups very rarely. One of the heaviest animals in the world is also listed as the largest species of bear in the world. The largest land predator saw in Russia, Alaska, Canada, Greenland, and Norway. Because of their large size, they dont have any natural enemies except humans. The global warming and melting of polar are affecting the polar bear population. The male polar bear can weight upto 1500 pounds and can reach 10 feet in length, however, females are two times smaller than males. The average lifespan of the bears is 15-18 years in the wild and over 30 years in captivity. Elephant seals are one of the most fantastic Antarctica animals, however, there are many different species to observe too. The adult elephant seal can weigh upto five tonnes and measure up to six and a half metres. The females are smaller with a weight of around 7 – 800 kg. The gestation period of the female one is around 9 months, howvever, they have delayed implantation and hence babies are born after 12 months, however, pregnancy lasts for 9 months. The newborn babies weight around 50 kilograms and within three months they became around 150kg. One of the highly social animals for large groups or harems for a month during the breeding season. The unique creature was mostly seen in four islands namely, Komodo, Flores, Rinca and Gili Motang. One of the oldest animal species expected to exist for millions of years, however, they are discovered 100 years ago. The name of the species has been given because they are found on Komodo Island. The largest lizard species can reach upto 10 feet in length and weigh up to 200 pounds. The carnivorous animals like to eat pigs, deer, snakes, fish and water buffalos. The average lifespan of the species is 30 years in the wild and few more years in captivity. The largest animal in North America, howvever, males are larger than the females. Males can grow upto 10 feet and weight approximately 930 to 2200 pounds with a height of 6.6 feet. Talking about the appearance, the animal species have short, curved and sharp black horns in the head. They can reach between length 23 and 29 inches. It has a thick and brown coat that provides them with insulation from the cold and unusable weather. Bison lives in smaller groups called herd, gang or obstinacy. One of the largest mammal on planet Earth and has a trunk of the Asian elephant has two finger-like structures and helps him to perform powerful movements. The skin of the species is brown to dark grey and one of the most important for Asian culture for even thousands of years. They have been domesticated and used for transportation and also to move heavy objects. It lives in the herd and it is led by the oldest and often largest female in the herd. The herd consists of eight to 100 individuals. Asian elephants love to eat grass, bark, roots and leaves and crops such as banana grown by farmers. How many of these large wild animals have you seen? It is interesting to note that some of the heaviest animals in the world are herbivores and not at all dangerous to humans.